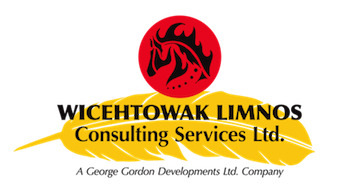 Wicehtowak Limnos Consulting Services Ltd.
WLCS is a Regina based full services environmental consulting firm that is wholly owned by George Gordon Developments (GGDL), the business development corporation of George Gordon First Nation (GGFN). The Cree word Wicehtowak has no direct English translation, but means ‘partnership with a purpose’. It is in this spirit that we engage all potential partners, clients, stakeholders and regulators. Our aim is to provide best in class environmental services to a range of sectors and clients including mining, oil and gas development, power generation and distribution, construction, First Nations, government and land managers. Our team has decades of experience in scoping and executing a range of projects, ensuring professional execution and best value. We are able to manage projects from conceptualization through permitting, construction, operation, and decommissioning. We invite you to contact us with regards to any projects which you may have. Our unique perspective allows us to develop unique best value professional solutions for our clients. Copyright 2017 WLCS Consulting Services Ltd.